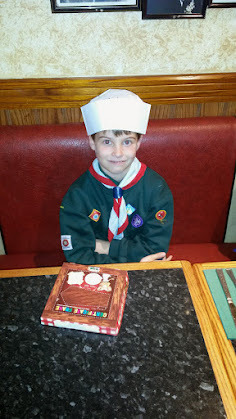 Last week we took the Cubs to Frankie & Benny's. It was a trip that had been planned for a long time but it was worth the wait! 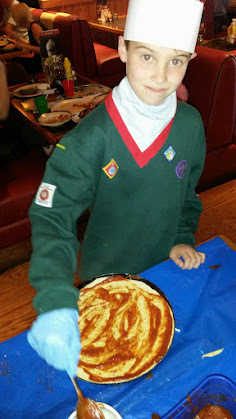 When we arrived the Cubs were all given a mini pizza box which contained puzzles, crayons and a hat. The Cubs were asked to write their name on the hat and put it on. They were then given the opportunity to make their own pizzas. They started with a plain base and used a tool which was basically a roller with plastic spikes on it which they rolled over the base making tiny holes. 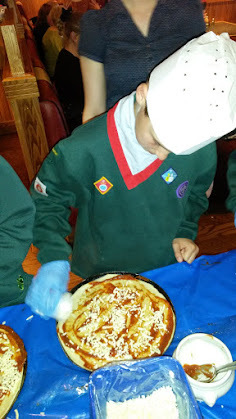 They added tomato sauce to the base and then mozzarella cheese and were given a choice of toppings so they could add whichever toppings they wanted. 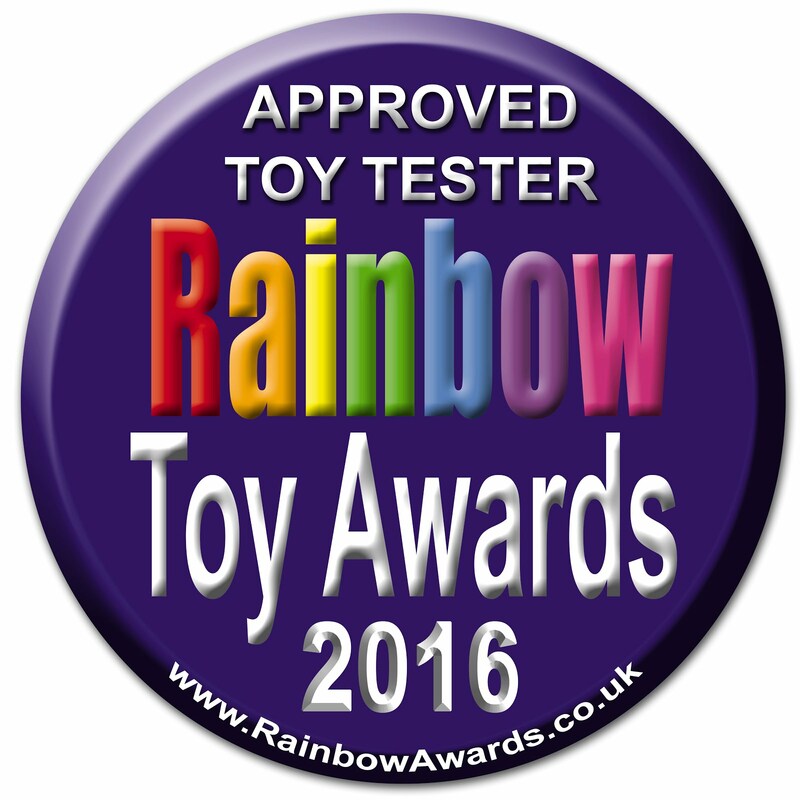 Pepperoni seemed to be the favourite with the Cubs. The pizzas were cooked and then we all sat down to eat them. 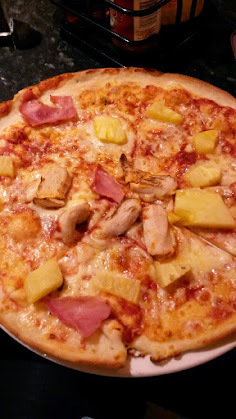 I'm not a fan of pepperoni so my pizza had ham, chicken and pineapple and was delicious. 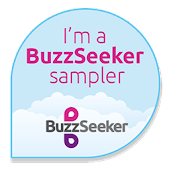 The staff at Frankie & Benny's were all really helpful and were excellent with the Cubs, answering all their questions and explaining everything well. We all had a great night out and I'm sure all the Cubs will be returning to Frankie & Benny's with their parents.